Press Release: Former members of the Guard and Reserve who do not have any periods of active duty other than their initial active duty for training and annual training are now eligible to receive Veteran on their drivers licenses. 1. 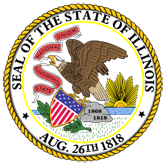 National Guard members and Reservists can obtain the Veteran Identifier on their Illinois Driver's License. (16-0522-IDVA_SB_2173.pdf).